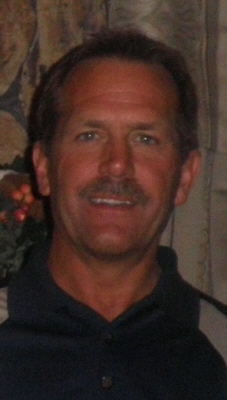 Craig R. Puls age 62 of Slinger, Wisconsin passed away Sunday, March 17, 2019 at his home surrounded by his loving family. Craig was born April 19, 1956 in Milwaukee, WI to Charles and Mary (nee Pirog) Puls. He worked for International Paper for 40 years. Craig also enjoyed snowmobiling and cars. Craig your life was a blessing and a treasure. You are loved beyond words and missed beyond measure. Craig is survived by his beloved wife Lynn Puls (nee Bartol), children Steven (Heather) Puls, Heather (Miles) Flasch, and Kevin (Tori) Puls; mother Mary Puls; brothers and sisters Mark (Sue) Puls, Scott (Lori) Puls, Caren (Tom) Zimmerman, and Sheryl (Dave) Newsom and sister-in-law Bobbi Blanton. He is further survived by nieces, nephews and other dear relatives and friends. He is preceded in death by his father Charles Puls. Memorial Services for Craig will be held Sunday, March 24, 2019 at 4:30p.m. at the St. Peter Catholic Church (200 E. Washington St. Slinger, WI 53086). Family will greet relatives and friends at the church on Sunday from 1:00 p.m.- 4:15 p.m.
"Email Address" would like to share the life celebration of Craig R. Puls. Click on the "link" to go to share a favorite memory or leave a condolence message for the family.